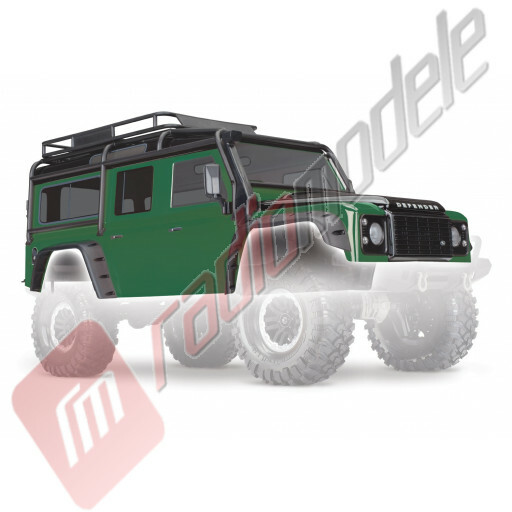 The green Land Rover Defender body comes pre-cut, painted with applied decals, and ready to mount on the TRX-4 chassis (324mm). 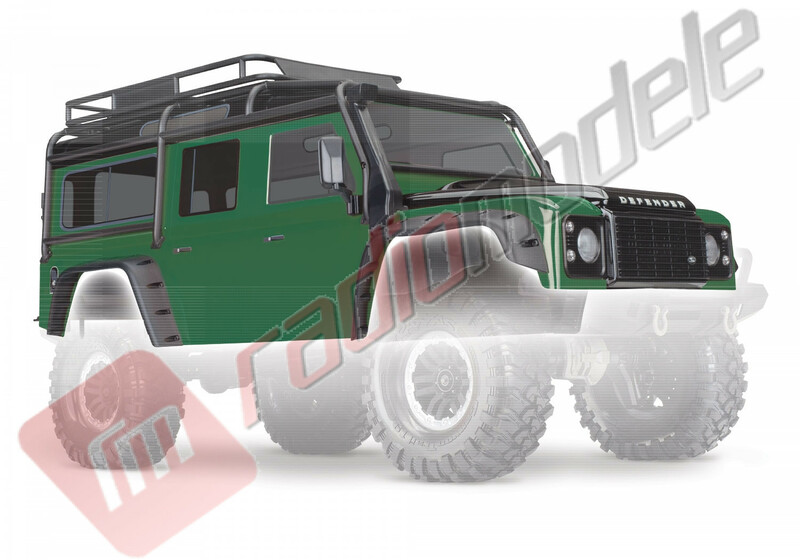 The body is fully assembled with a complement of highly detailed scale parts including Exocage, inner fenders, fuel canisters, snorkel, grill, and jack. 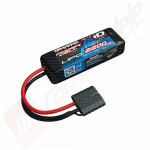 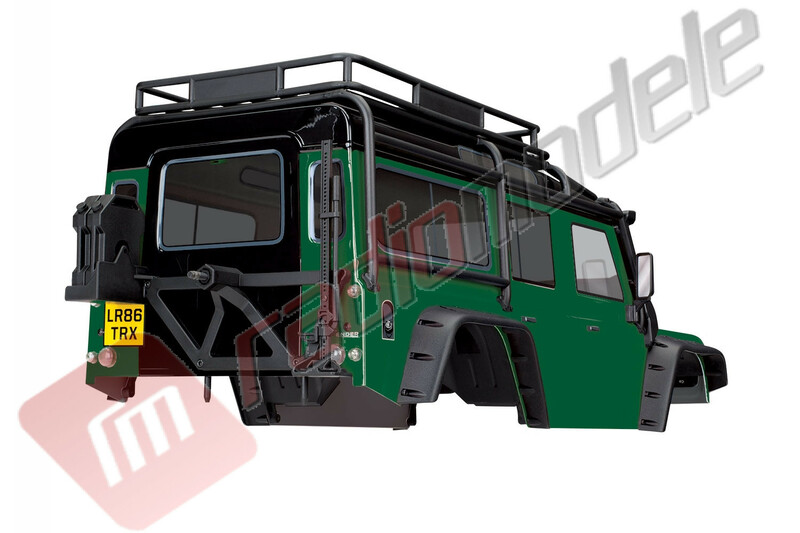 For more scale realism, consider adding the #8030 LED light kit. 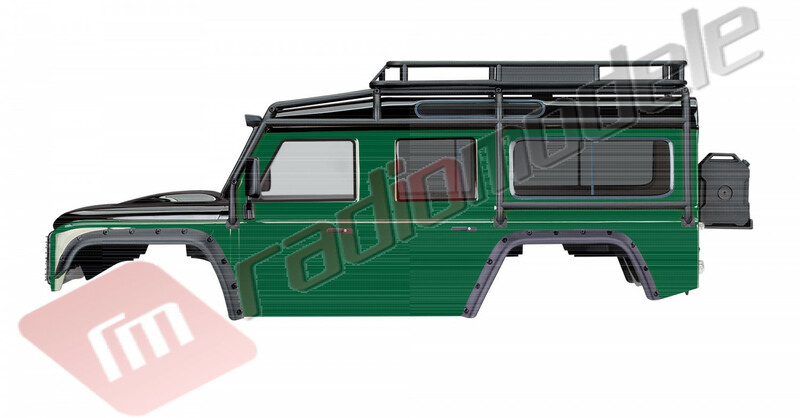 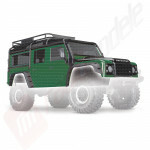 Caroserie Land Rover Defender VERDE (vopsita, asamblata) pentru automodele TRAXXAS TRX-4.